Francis receives delegates from the "World Conference of Religions for Peace". "All men of good will, especially those who hold responsibilities, are called to work for it." "Whoever commits violence or justifies it in the name of religion severely offends God". Vatican City (AsiaNews) - "Believers of every religion" are called to invoke peace, while "those who commit violence or justify it in the name of religion severely offends God", said Pope Francis today, before the general audience, as he received the delegates of the "World Conference of Religions for Peace." “Peace” – he said – “remains an urgent task in today’s world, where so many peoples are scarred by war and conflict. Peace is both a divine gift and a human achievement. This is why believers of all religions are called to implore peace and to intercede for it. All men and women of good will, particularly those in positions of responsibility, are summoned to work for peace with their hearts, minds and hands. For peace has to be “crafted”. In this effort, peacemaking and the pursuit of justice go together”. “The religions, with their spiritual and moral resources, have a specific and unique role to play in building peace. They cannot be neutral, much less ambiguous, where peace is concerned. Those who engage in acts of violence, or try to justify them in the name of religion, gravely offend God, who is peace and the source of peace, and has left in human beings a reflection of his wisdom, power and beauty”. 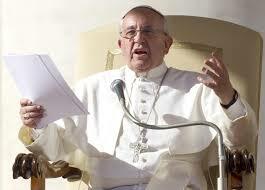 The Pope expressed his “esteem and appreciation for the work of “Religions for Peace”. You provide a valuable service to both religion and peace, for the religions are bound by their very nature to promote peace through justice, fraternity, disarmament and care for creation”. “There is a need for a common and cooperative effort on the part of the religions in promoting an integral ecology. The Bible helps us in this regard by reminding us of the Creator, who “saw all that he had made, and it was very good” (Gen 1:31). The religions have the wherewithal to further a moral covenant that can promote respect for the dignity of the human person and care for creation”. 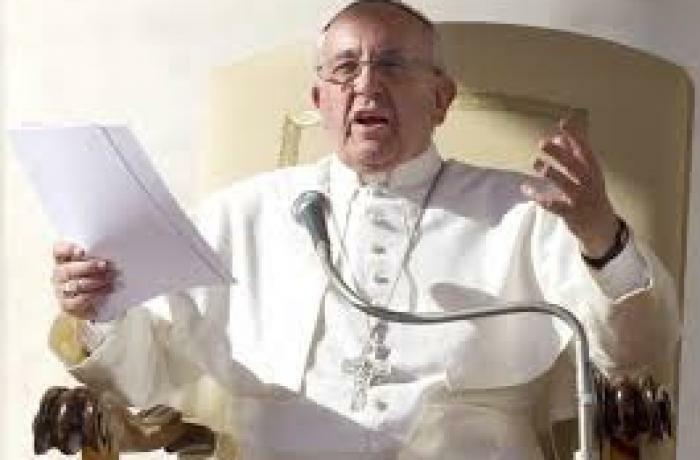 “Thanks be to God”, concluded Pope Francis “in various parts of the world we have any number of good examples of the power of interreligious cooperation to oppose violent conflicts, to advance sustainable development and to protect the earth. Let us continue along this path! We trust in the Almighty’s help and in the good will of believers and so many others”.